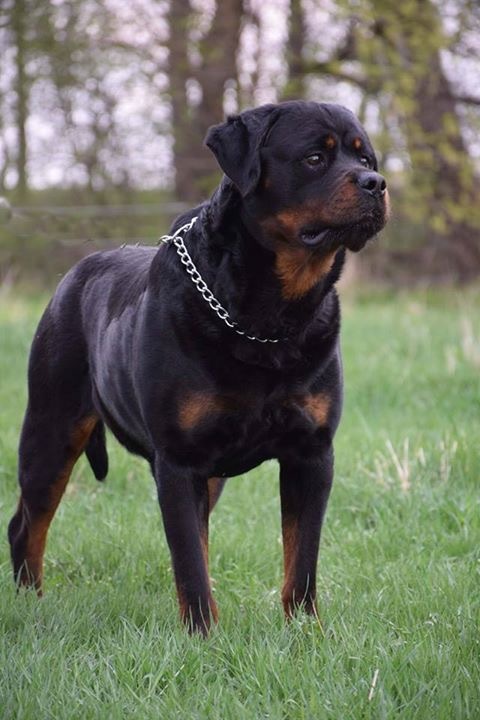 We are proud of our beautiful Kuno. 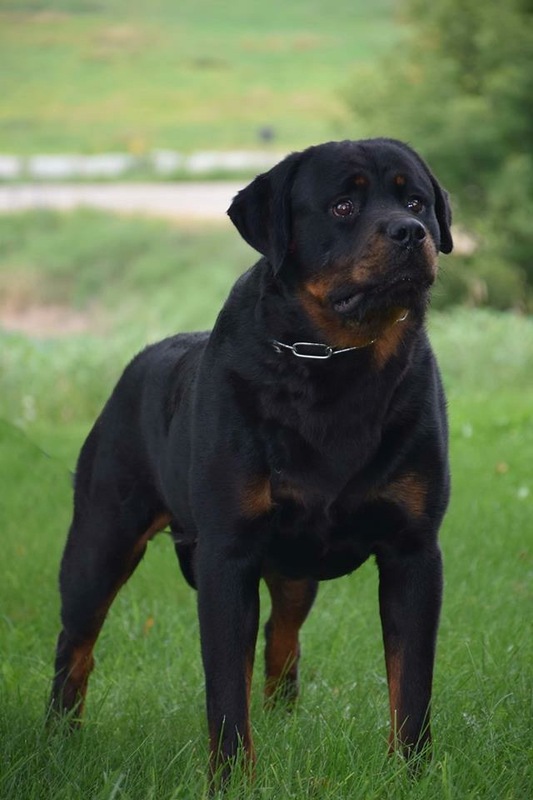 He was V3 rated both days of the AHRK Champion and Sieger Nirk Show here in Minnesota. 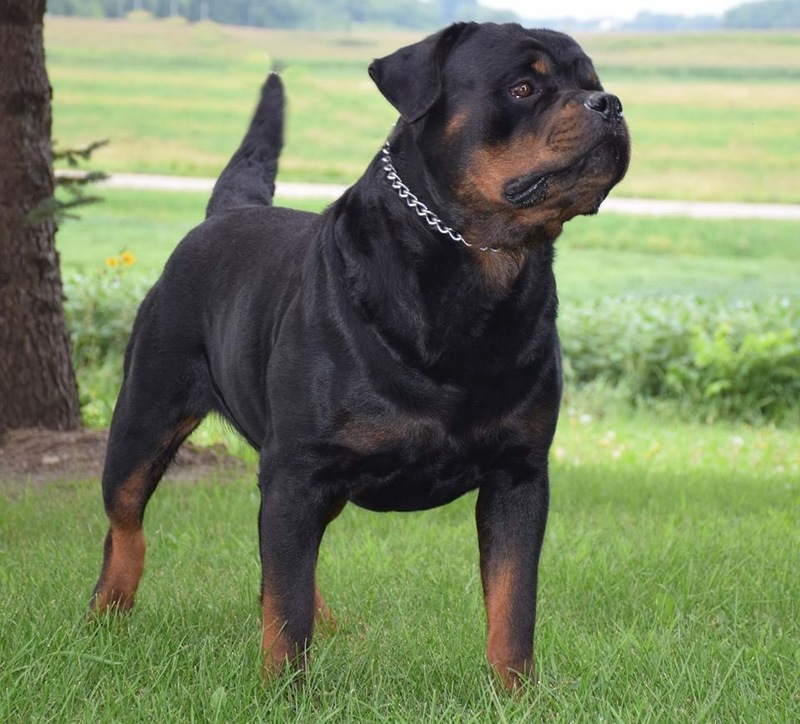 Kuno is a Multi V rated, UCI International Champion, and Best of Breed winner. 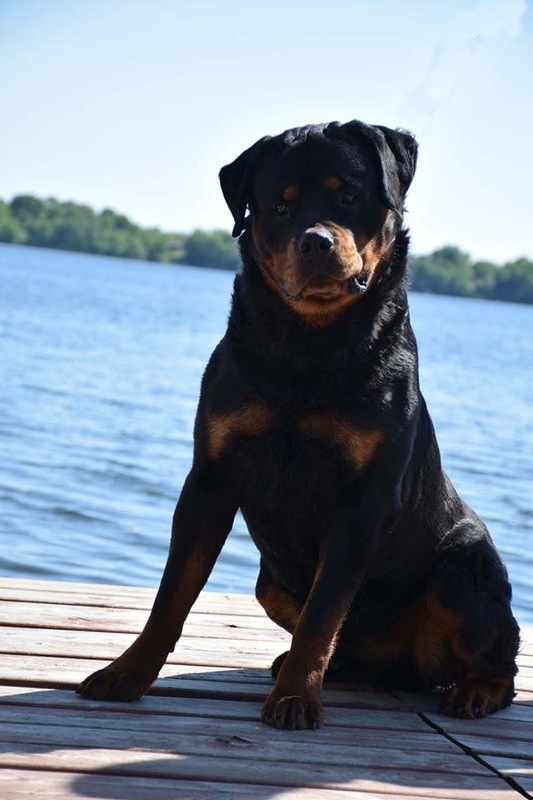 He is a young male with a USRC SG rating. 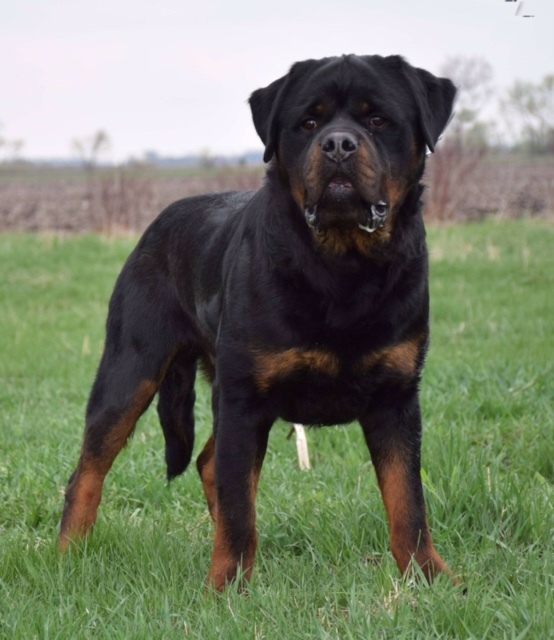 He has a phenomenal pink papered, true all German, many working titled Rottweilers and Champion pedigree as well as a stable temperament, excellent bone and build with clear, rich mahogany markings. 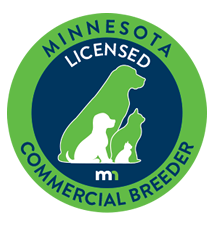 He has proven himself an outstanding stud in our kennel and has produced some phenomenal pups with our top females. 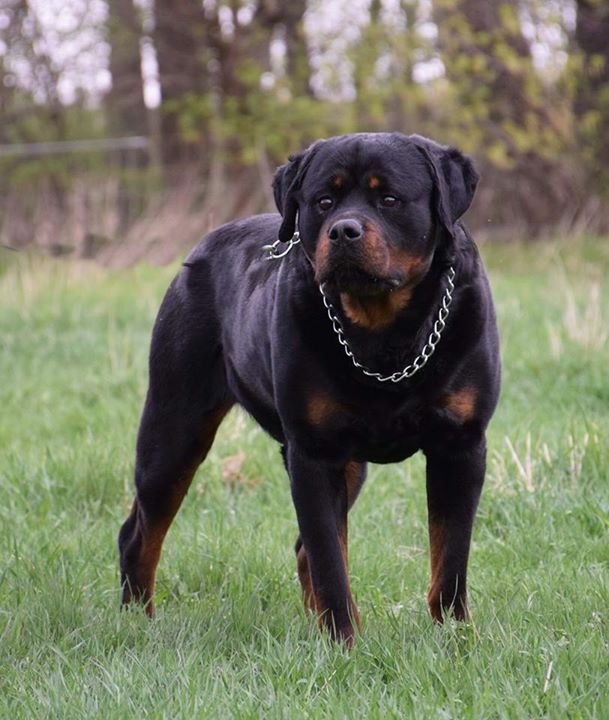 Kuno comes from a long line of carefully bred dogs, paired specifically to produce the superior offspring and pedigree he carries. 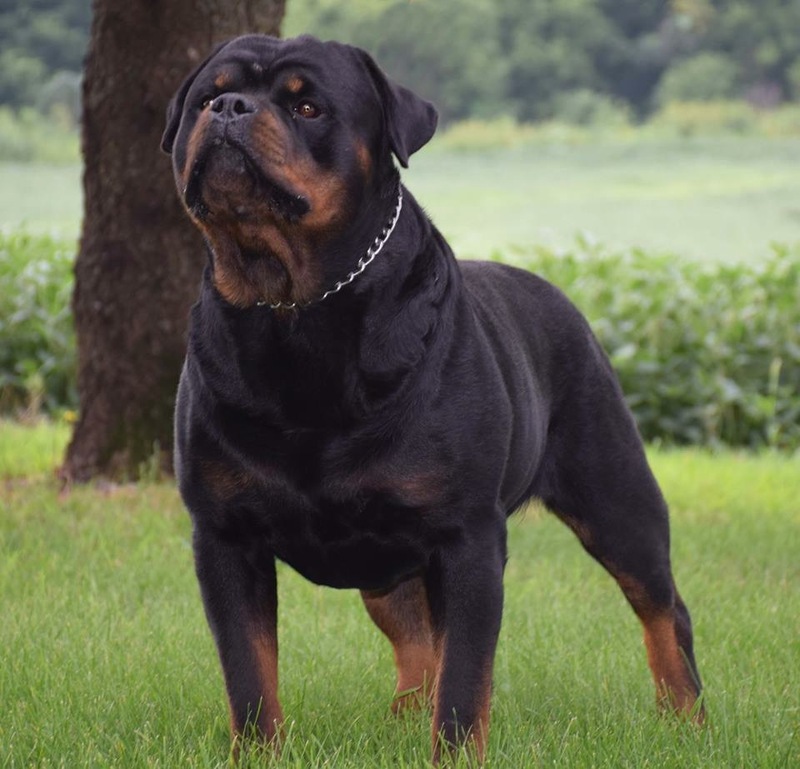 Besides Kuno being a UCI International Champion and Best of Breed winner, he is the only son of two world famous multi champion, pink papered German imports: Maik Von Der Frankentanne and Zecke Vom Hause Anin. 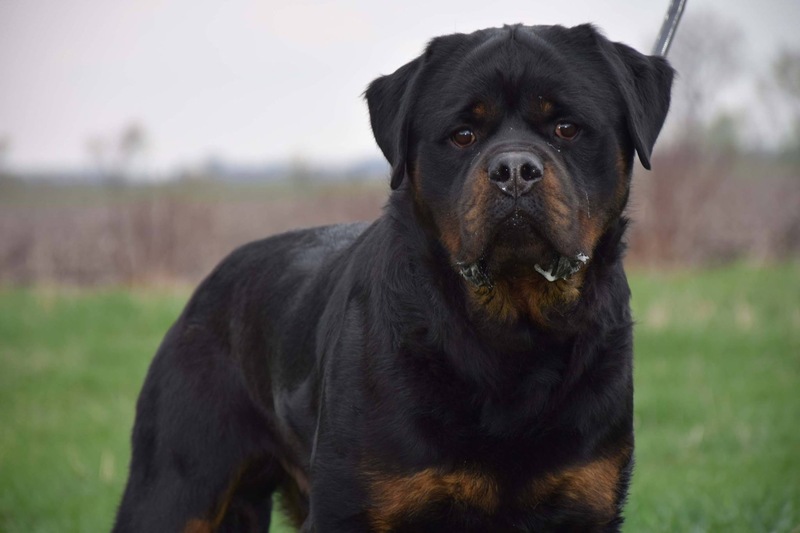 In 2008, Kuno competed with 13 other adult males at his first USRC Regional Sieger Show in Ohio. 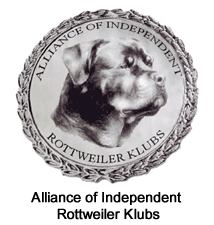 Judge Uwe Petermann, ADRK, commented: "Medium sized male. Good substance. Well developed, calm, friendly. Strong head. Very good stop. 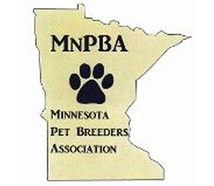 Medium ears, medium brown eyes, strong muzzle. Very good chest proportion. Front straight, but upper arms slightly rounded. Strong back, slight dip. 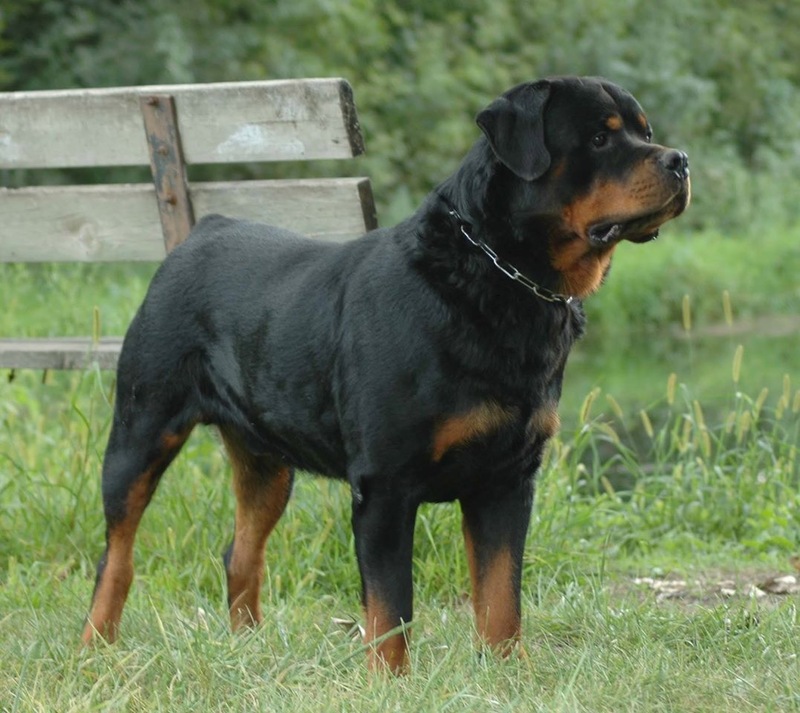 Strong coat, deep rust brown markings. Overall good movement. Correct scissor bite." 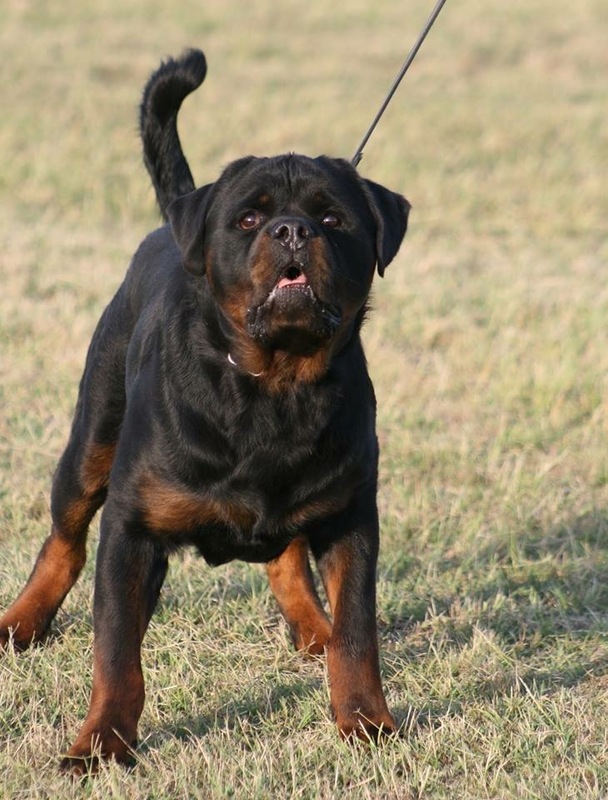 Kuno attended the 2008 IABCA International Dog Show and was critiqued under three USA judges and one international judge. 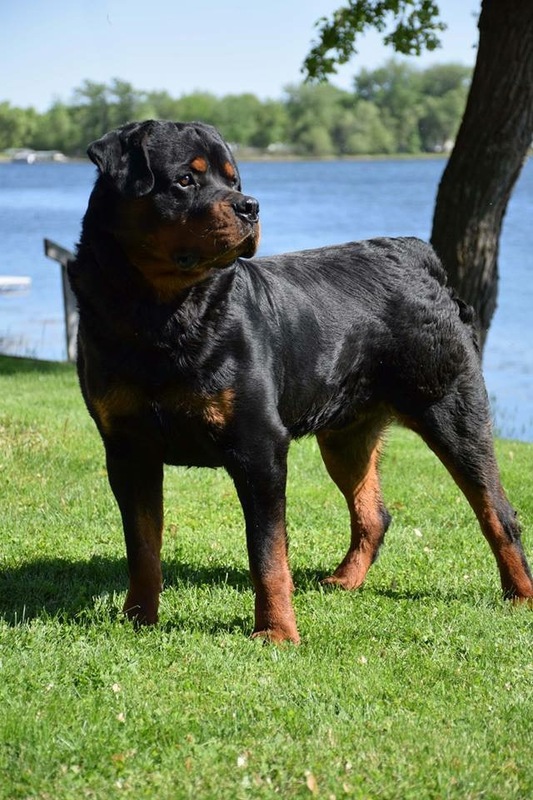 Here is what they said about Kuno: "Good color. Ears are well set and good size. Quality male. Correctly set. Correct scissor bite. Medium dark eyes, oval. Good coat texture. 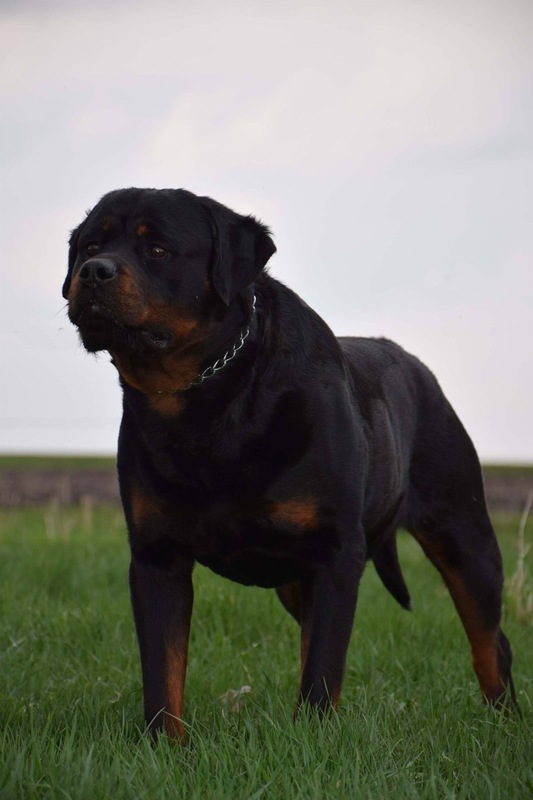 Very nice Rottweiler outline. Strong, compact, working dog. Well muscled. Good, level top line. Well set natural tail. Easy moving dog. Good reach and drive." 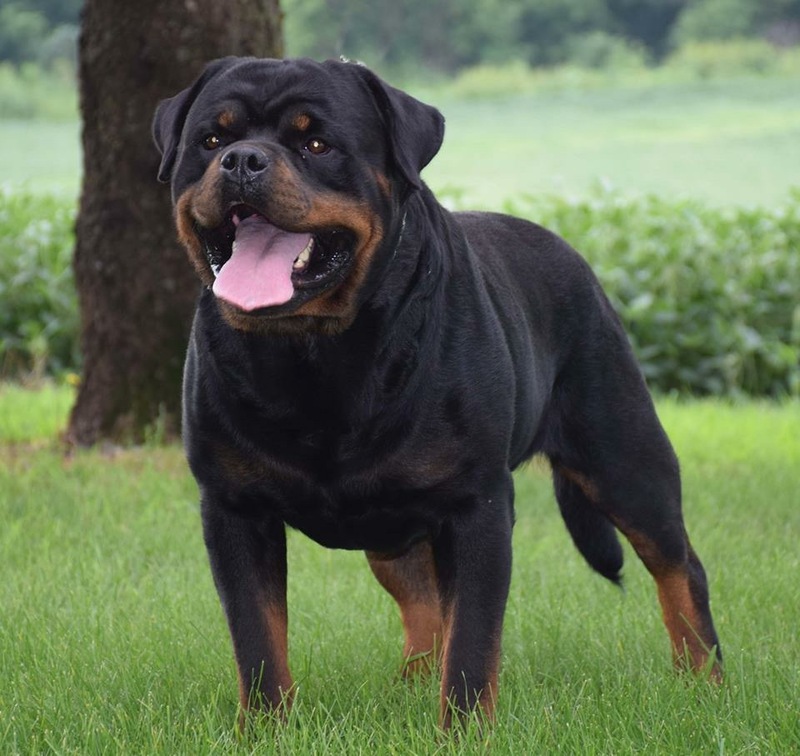 Booya is a champion male. 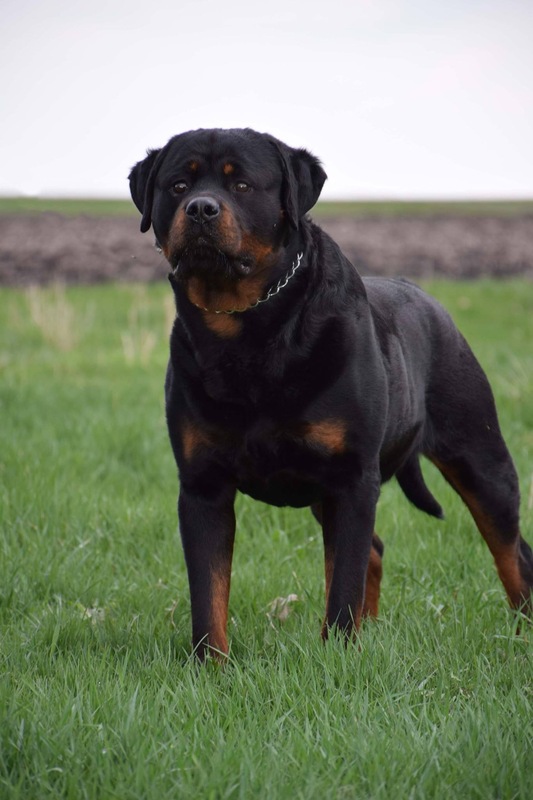 He is a beautiful powerful Faridon son off of Royal Musketeer rottweilers with a phenomenal temperament for sound working or family. 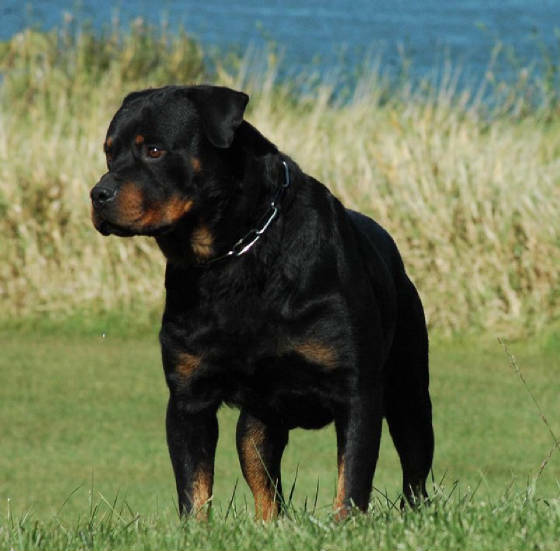 We are proud of our beautiful Kuno. 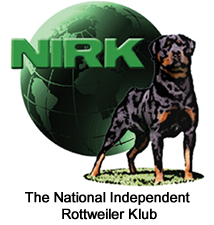 He was V3 rated both days of the AHRK Champion and Sieger Nirk Show here in Minnesota. 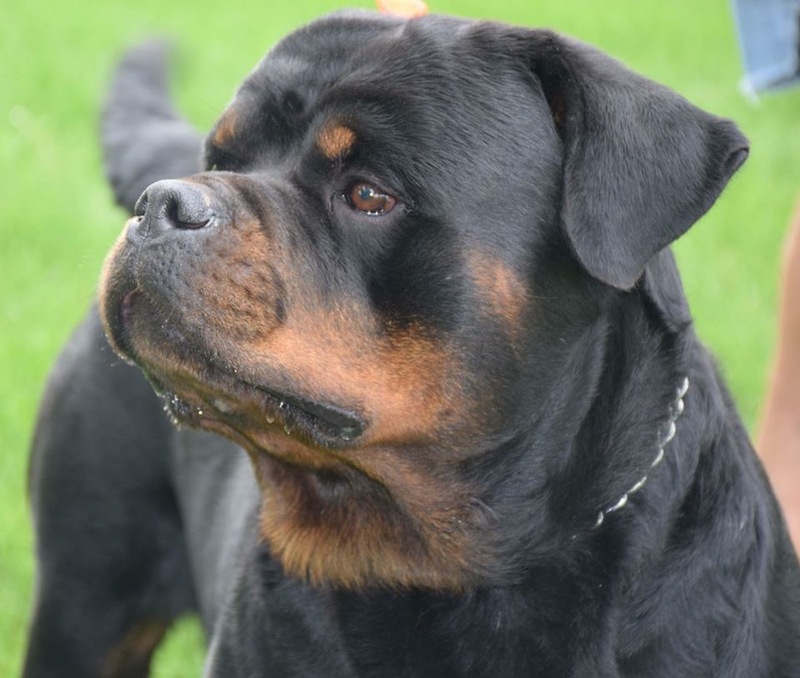 Kuno is a Multi V rated, UCI International Champion, and Best of Breed winner. 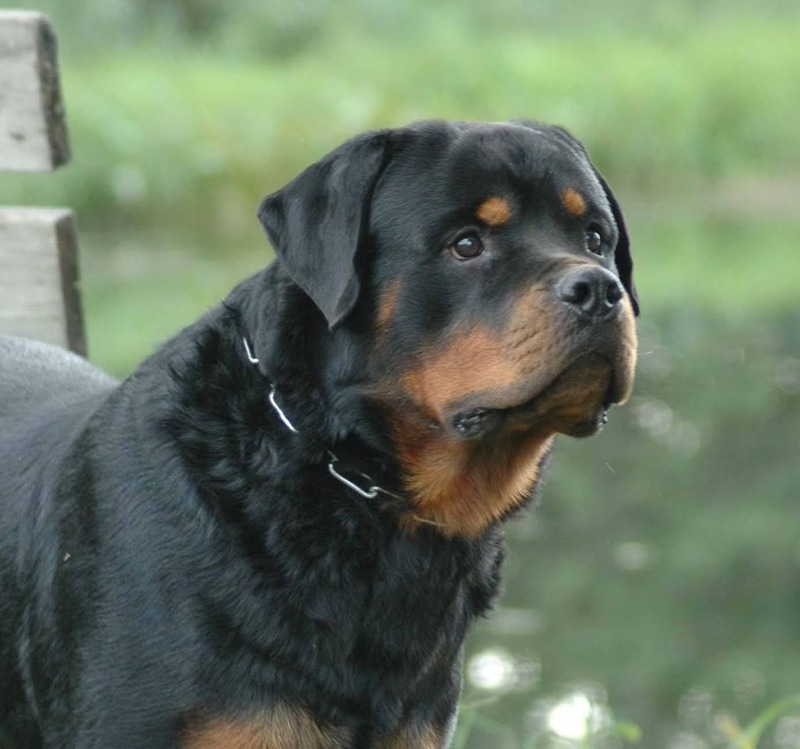 He is a young male with a USRC SG rating. 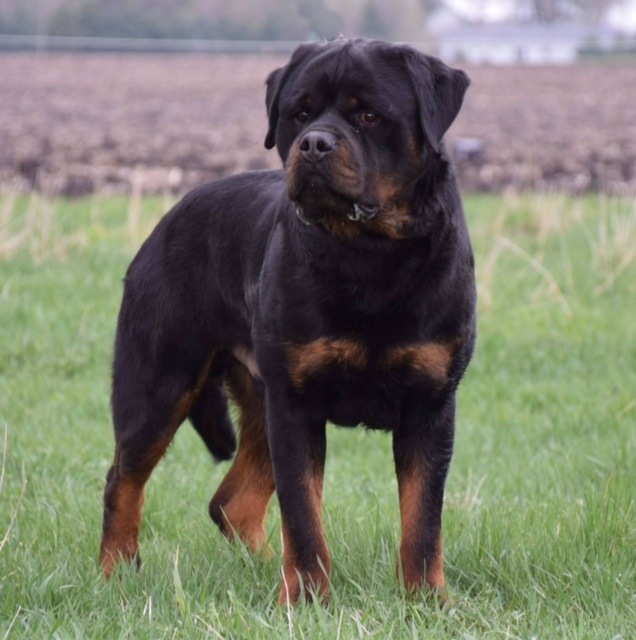 He has a phenomenal pink papered, true all German, many working titled Rottweilers and Champion pedigree as well as a stable temperament, excellent bone and build with clear, rich mahogany markings. 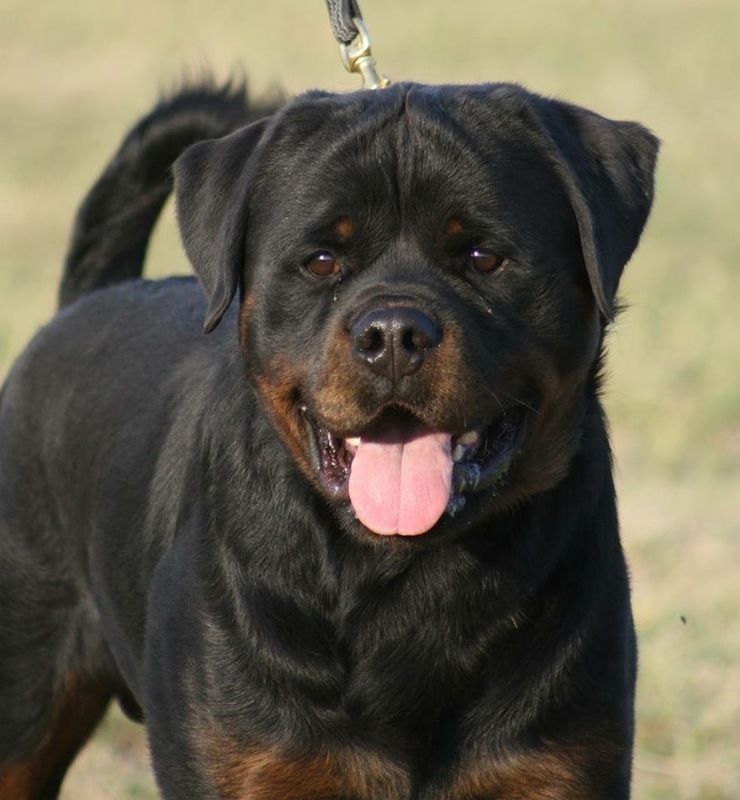 He has proven himself an outstanding stud in our kennel and has produced some phenomenal pups with our top females. 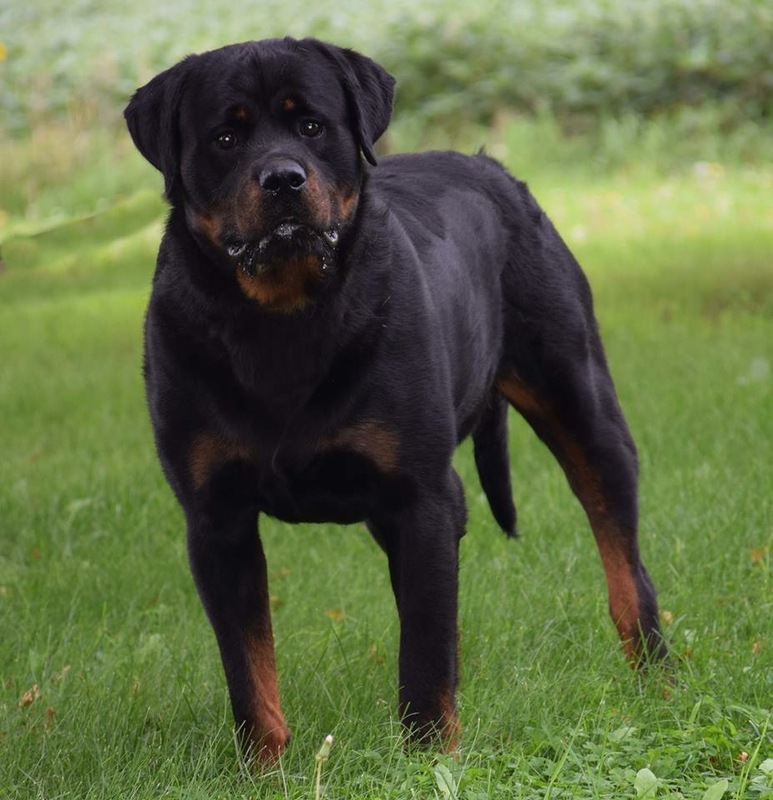 Kuno comes from a long line of carefully bred dogs, paired specifically to produce the superior offspring and pedigree he carries. 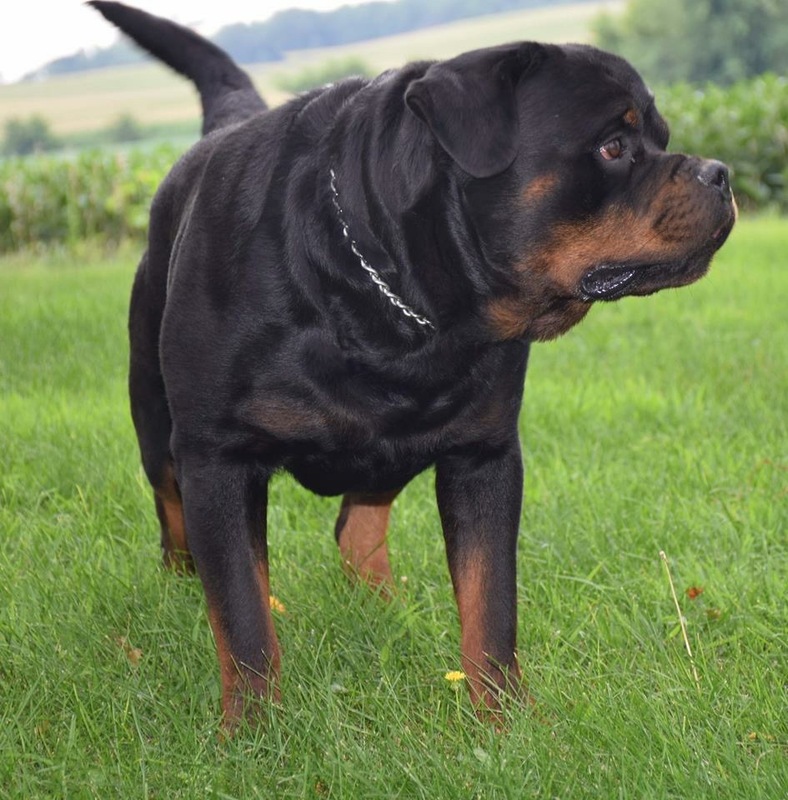 Besides Kuno being a UCI International Champion and Best of Breed winner, he is the only son of two world famous multi champion, pink papered German imports: Maik Von Der Frankentanne and Zecke Vom Hause Anin.